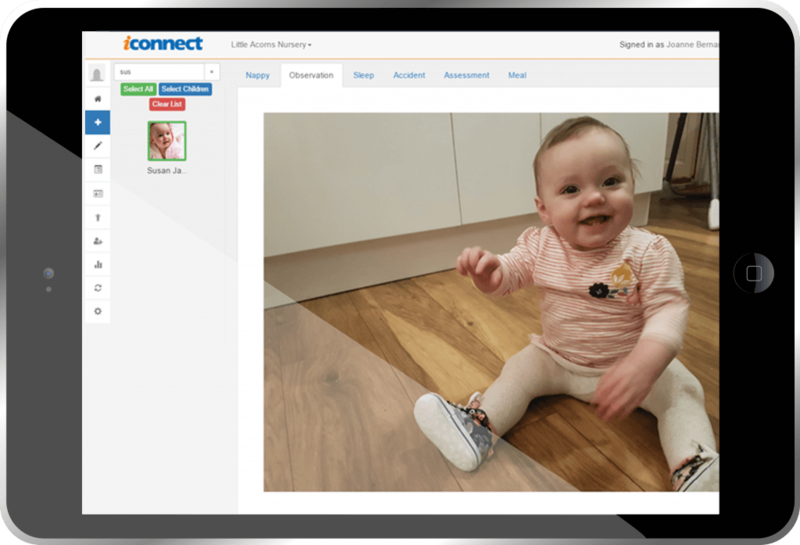 Connect's Childcare Software combines everything you need for Managers, Practitioners and Parents into one simple software system. 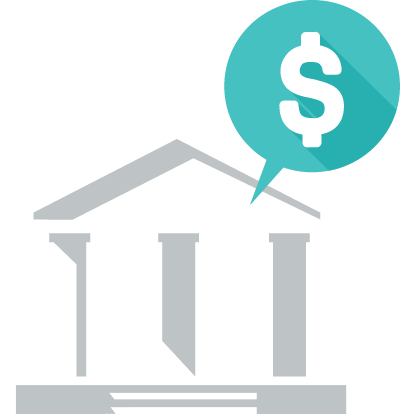 Speed up your bill runs by accurately invoicing entire settings in minutes. Increase cash flow by offering parents to pay from their smartphone apps or automatically by Direct Debit. 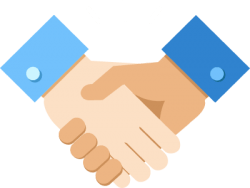 Connect Childcare will improve your financial processes even further with automatic reconciliation from your bank account. 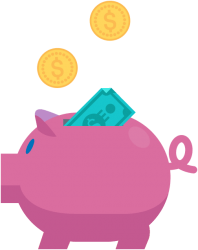 Bulk grant allocation saves hours of time and ensures grant calculations and invoices are always accurate. Take the complication out of the 15 and 30 hour funding and let Connect Childcare manage these calculations for you. Choose from a range of registers to check in your staff and children on both tablets and PCs.  Online and offline capabilities mean that even in an emergency you can access your registers and emergency contact details. Take all of the fuss out of parental communication with Connect Childcare. Send observations, learning journeys, assessments and invoices straight through to a parents smartphone app. Send letters, emails and text messages in bulk to selected parents so they will always be up to date. 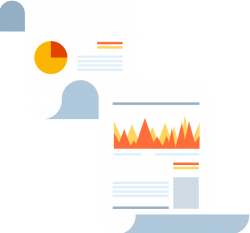 Leave your paperwork on the shelf as a wealth of reports are available at your fingertips. 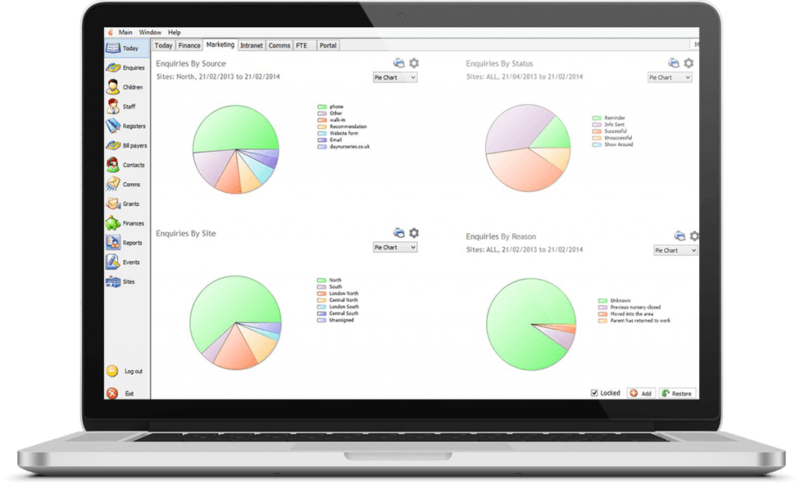 Analyse everything from enquiries to child progress and everything in between. 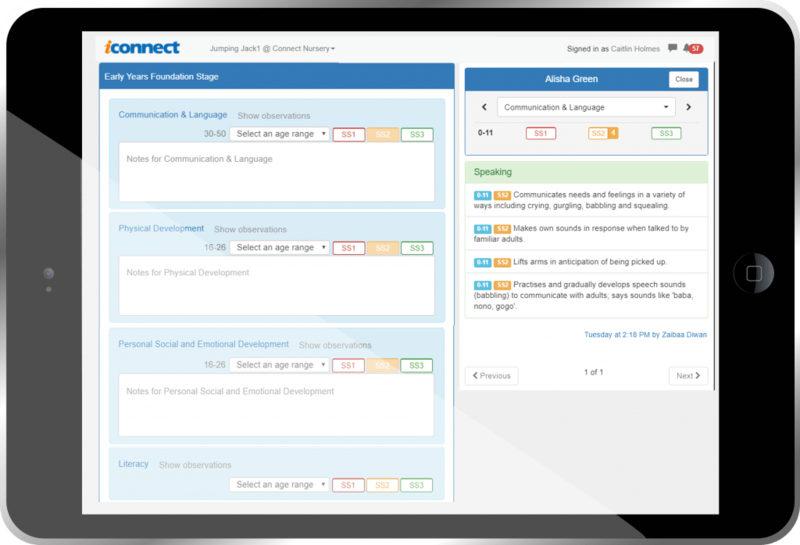 Connect Childcare contains everything you need to report on all aspects of your setting, your staff and your children. 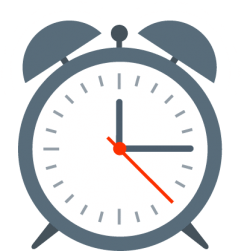 Automation is the key to time saving in your nursery. 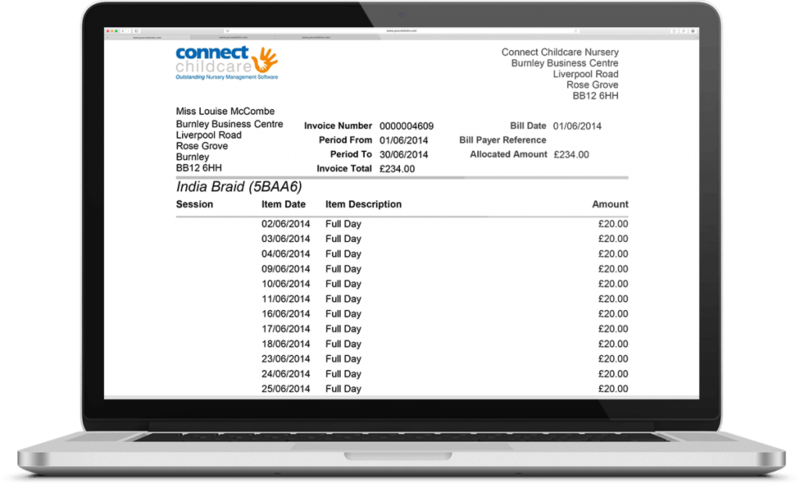 Eliminate the need for duplication as the Connect Childcare package runs all aspects of your nursery from one database, meaning you can save time and reduce errors. Increase partnership with parents by giving parents an easy communication tool on their smartphones. 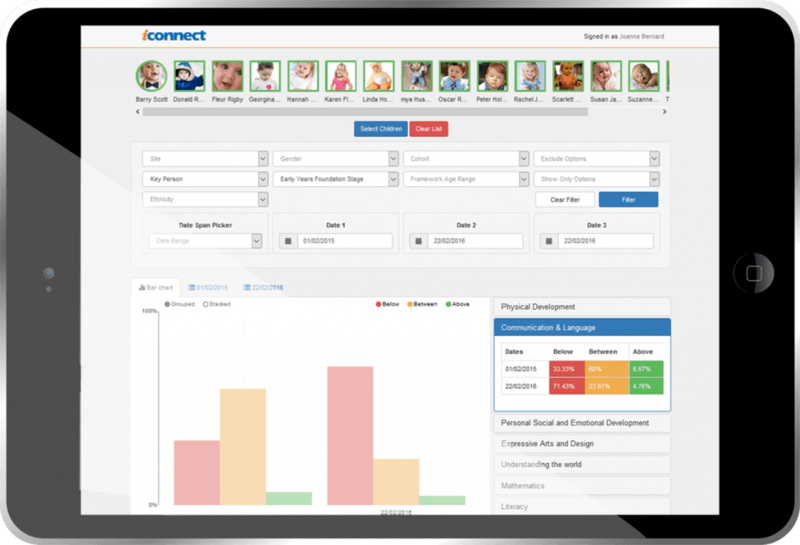 With ParentZone parents can see their child’s daily activities, development progress and achievements. 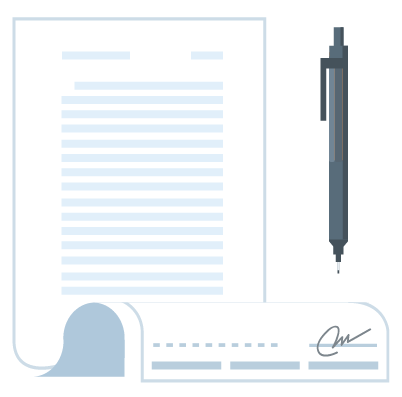 They can view and pay invoices and even start conversations with your setting and staff. 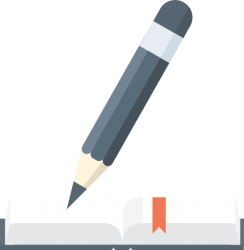 Use tablets to log observations with ease. Take photos and videos and link them to various different curricula. Even daily activities like sleeps, meals and nappy changes can be recorded then and there and sent straight through to the parents to form the child’s Day In The Life report. Keep all of your information in one place and access all of your child data with just a click. Gain quick access to emergency contacts, permissions, and medical information at the touch of a button. 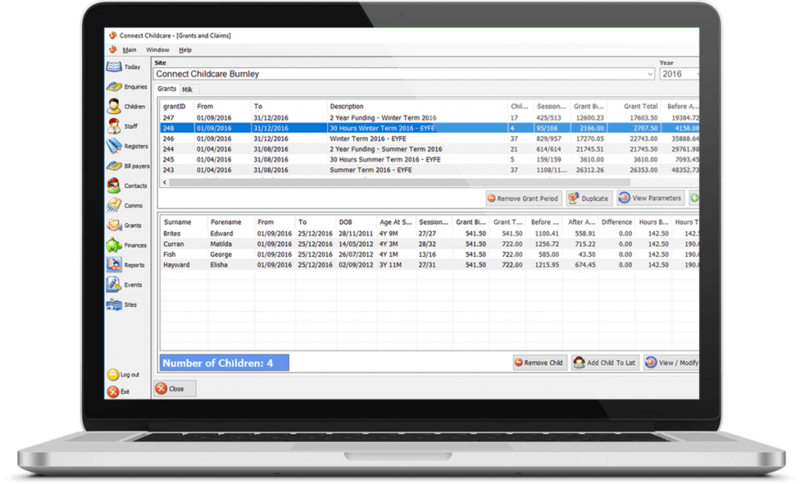 Connect Childcare's nursery management software will reduce your admin time and make your complicated processes quick and easy. It helps nurseries like yours to manage Tax Free Childcare and the 30 hour funding with ease. 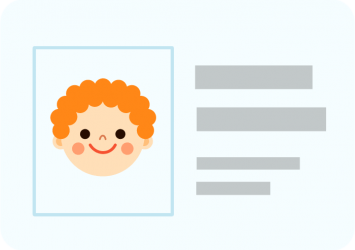 The Connect Childcare system is not only flexible; it is accurate, secure and reliable. iConnect is the award winning online learning journey software for Practitioners. But it’s not just for observations, Practitioners can carry out all of their admin tasks; from assessments and progress reports to planning and next steps, at the touch of a button. 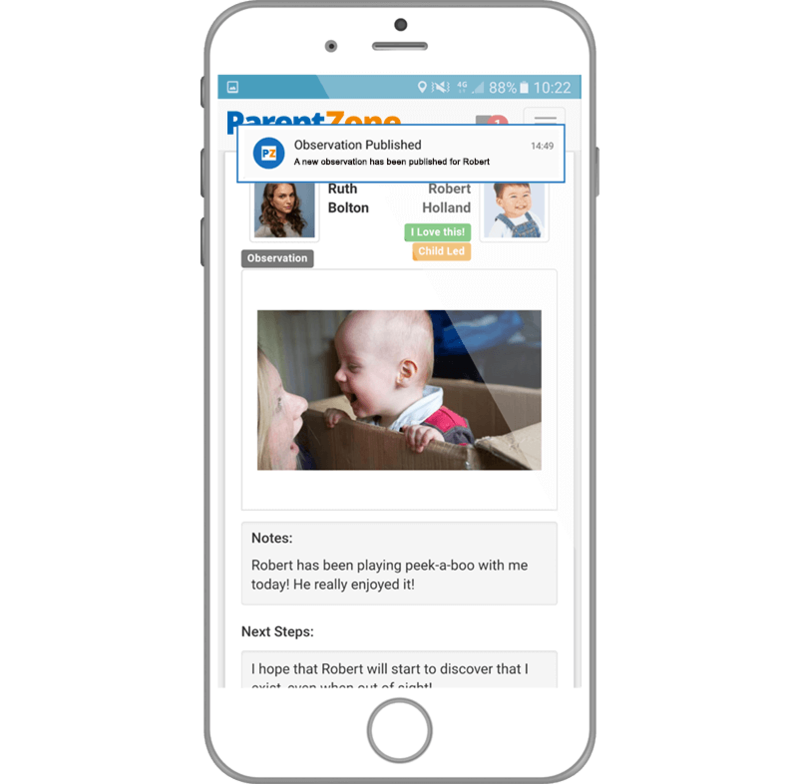 ParentZone is a smartphone app for parents. Parents will never miss a moment of their child's development again with regular notifications of their child's activities and achievements. They can access information, child observations and important assessments at a time that suits them best.